OXFORD, Miss. – Playing music and changing lives are Bruce Levingston’s passions. So when the renowned concert pianist was offered an opportunity to combine artistry and altruism at University of Mississippi, he immediately obliged. Levingston has been named the Chancellor’s Sally McDonnell Barksdale Honors College Artist-in-Residence. Through the leadership of Chancellor Dan Jones, Provost Morris Stocks and Honors College Dean Douglass Sullivan-Gonzalez, the new position is made possible thanks to a generous endowment from Lester “Ruff” Fant through the Lester G. Fant III Charitable Lead Annuity Trust. Fant’s father taught at UM for 30 years. Levingston will work with students to develop their interests and opportunities, both in the arts and in general. UM administrators and faculty expressed appreciation and enthusiasm for Levingston’s contributions. Sullivan-Gonzalez anticipates that Levingston will continue to have a significant impact upon students. The artist-in-residence is optimistic about discovering talented yet unknown future musicians and artists while at UM. “While I’ve had wonderful opportunities to commission and work with many gifted and established artists, perhaps the most exciting time for me has been when I’ve commissioned something from a really talented but unknown artist and then that person goes on to achieve great praise and acclaim for their work,” he said. A childhood interest in playing the piano set the Cleveland native on the path to winning competitions, studying with the masters and his own stellar career success. and a spring tour of opera houses throughout Italy. Noted for his creative programming, Levingston has collaborated with such artists as composers Philip Glass and Lisa Bielawa; painter Chuck Close; actor Ethan Hawke; authors Michael Cunningham, Nick McDonell and George Plimpton; violinist and cellist Colin Jacobsen and Eric Jacobsen; the Brooklyn Rider Quartet; virtuoso dancers Tyler Angle, Herman Cornejo and Alessandra Ferri; and choreographer Jorma Elo. Levingston is founder and artistic director of Premiere Commission Inc., a nonprofit foundation that has commissioned and premiered more than 50 new works. He maintains residency in both Oxford and in New York City. His upcoming professional activities include the fall release of “Heavy Sleep” (Levingston’s fifth solo CD) and the 2015 publication of “Bright Fields: The Mastery of Marie Hull” (a book published by the University Press of Mississippi in celebration of the 125th anniversary of the famed Mississippi artist’s birth). Levingston earned degrees from the University of Texas at Austin, the Aaron Copland School of Music and also studied in Sion, Switzerland, at the Royal Conservatory of Toronto and the Aspen School of Music. 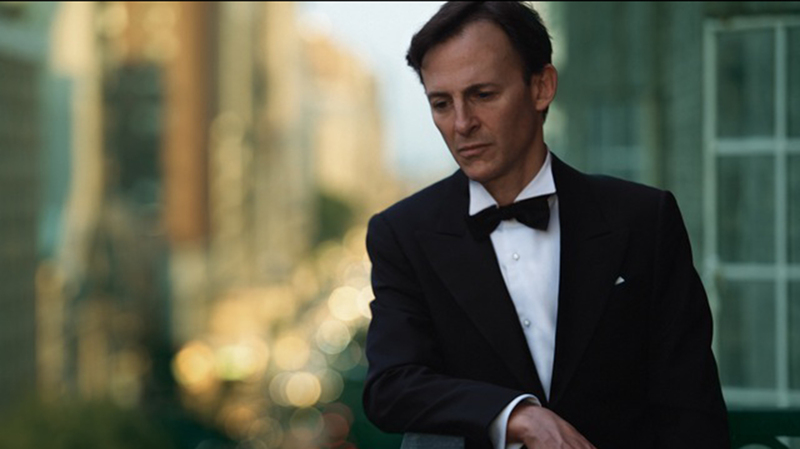 He has performed regularly at Carnegie Hall and Lincoln Center in New York City, the Boston Opera House, the Library of Congress, the Aspen Music Festival and Aspen Institute and many other international venues. Many of the world’s leading composers have written works for Levingston, and his world premiere performances and recordings of their works have received critical acclaim in The New York Times, The Boston Globe, The Washington Post, The New Yorker and Gramophone, among other publications.